When you’re first starting out, perhaps one of the best jobs to get in the entertainment industry is a job as an “assistant.” Now, the outside world often refers to this position as a secretary because essentially, you will be doing just about everything that the typical secretary does. That includes answering phones, picking up the dry cleaning, fetching coffee or whatever else the boss might demand. Unfortunately, Hollywood is notorious when it comes to the treatment of its assistants. In fact there have even been a few movies made about it (e.g. “Swimming with Sharks”, “Hijacking Hollywood”, etc.). 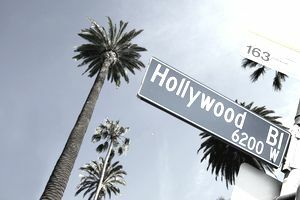 Most Hollywood executives and producers know that the job of being the lowly assistant is a high demand job that they can easily find a replacement for if the person sitting in the assistant chair can’t hack it. Depending on whom you work for, the job can be high stress, all consuming and one that your friends and family will constantly wonder why you haven’t quit. Well, the fact is that being an assistant is almost like going to Hollywood School. Because assistants aren’t just secretaries – they’re executives and producers in training. Most Hollywood bosses are smart enough to know this before hiring you which is why you don’t see a huge number of career secretaries working in Hollywood. Because of the immense opportunity these positions hold, your boss might constantly berate, push and stretch your efforts up to and often past your breaking point. Many of them were assistants once themselves and although there is definitely a bit of “I was treated like this, so I get to treat others like this” going on, the fact is that many bosses will push their assistants as far as they can to make sure that they will make the best executives possible considering that many are promoted from within. So, how do you survive such a challenging work environment if you find yourself working for a Hollywood tyrant? Remember the following ten rules and you will enjoy your job that much more. Never Bad Mouth Your Boss: It’s all too tempting to bad mouth a bad boss. But unless it’s only to a few close friends who will never say a word about it, just don’t do it. It will not only make you look petty and weak, it might very well find its way back to your boss. You never know where other people’s loyalties lie – especially in Hollywood! Make Your Boss Look Good: Your job is simple – make the boss look good. If you make your boss look good, you will be rewarded with a boss who respects you and is willing to help you out in your career efforts. Don’t Take it Personally: Many Hollywood bosses just love to scream. It’s in their nature and there’s nothing you can do about it. Sometimes it may not have anything to do with the pressures of the job -- they might just be a jerk. So, the secret to your not wanting to go home crying every night is to not take whatever they say personally. Take up yoga, find a bunch of great funny movies, anything you can to keep the events of the day from weighing on you after you get home. Be Available: Some say it’s a bad precedent to set, but if you make yourself 100% available to your boss, you will soon find a boss that is more willing to care about your needs down the line. Don’t Expect Praise: Unfortunately, most Hollywood bosses won’t say anything until you do something wrong. Until that occurs, they literally expect perfection on everything from rolling calls to typing up a memo. Everything you do reflects on them so really, you’re nothing more than an extension of your boss – so why would they praise a part of themselves? Don’t expect to ever be praised for your job and if you do happen to receive it you’ll appreciate it that much more. Don’t Give In: Remember this if nothing else – at the end of the day, it’s just a job. The worst thing that can happen to you is to get fired. So, unless your boss if physically assaulting you in some way, learn to let the yelling and stress roll off your back. Assistants who manage to stay the course for 2-3 years are often richly rewarded with a lucrative career in management, development, producing and many other venues. Assistants who put up with their bosses crap can sometimes (ironically) achieve their respect. Truth vs. Lies: In the movie “Glen Gary Glen Ross” there is the line: “tell the truth – it’s the easiest thing to remember.” When working with a high-level boss, lying about a problem might get you into bigger trouble then you might already be. Take your licks and stay truthful and you’ll never have to worry about which lies you need to cover. Pick Your Battles: There will come a time when you have been legitimately wronged. That could be the boss taking credit for your work or some other atrocity. Depending on the nature and most importantly, the severity of the situation, determine whether or not it’s something deserving of your full attention. If it’s not something you feel you can live with then start by confronting your boss. If you can’t work it out with him/her then move up the ladder until the issue is resolved. Understand, however, that the higher and more public you make the issue, the more likely it might negatively affect you as well. Remember That You’re the Gatekeeper: One thing to always remember with this position is that you are your boss’s gatekeeper. No one can speak with your boss until you put the call through. Most Hollywood executives know this and will be nice to you to make sure their calls get returned. Don’t take this position lightly. Be diligent to protect your boss against callers whom they don’t want to speak with. Watch and listen to those callers that your boss deems a priority and those people he prefers to avoid. Learn All You Can: Remember why you’re there. It’s not because you really enjoy getting the boss’s coffee or walking his dog, you’re there to learn. So learn everything you can about what your boss does. What do the other people in the department do? What will your boss be willing to teach you? Learn the names of everyone your boss is calling and who’s calling him. Find out what their titles are and what they do. They might just come in handy for your own efforts someday. Being an assistant in Hollywood is no easy task. There are bosses who scream at, throw things, berate or just love to outright humiliate underlings. But in the end, the road can lead to fun, lucrative positions in a wide variety of avenues. Learn all you can and you might just find yourself in a position with your own assistant one day!